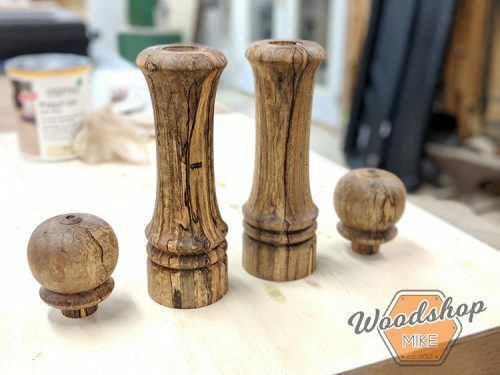 Today I’m going to walk you through how to make a pepper mill. 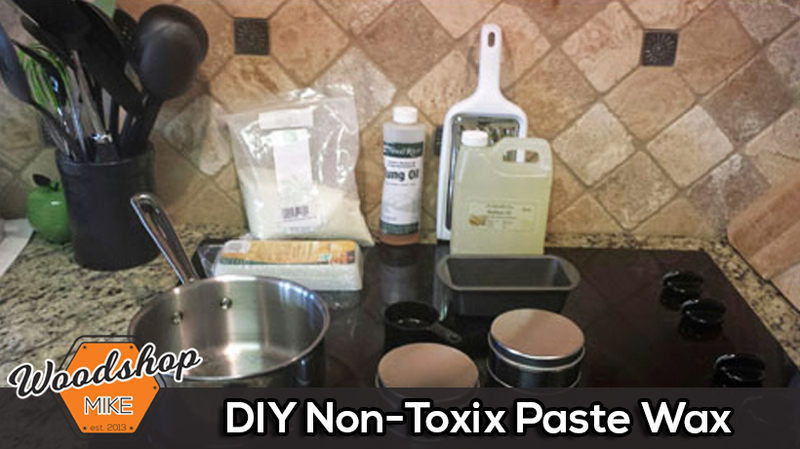 This is a great project for beginners and seasoned (no pun intended) turners alike. 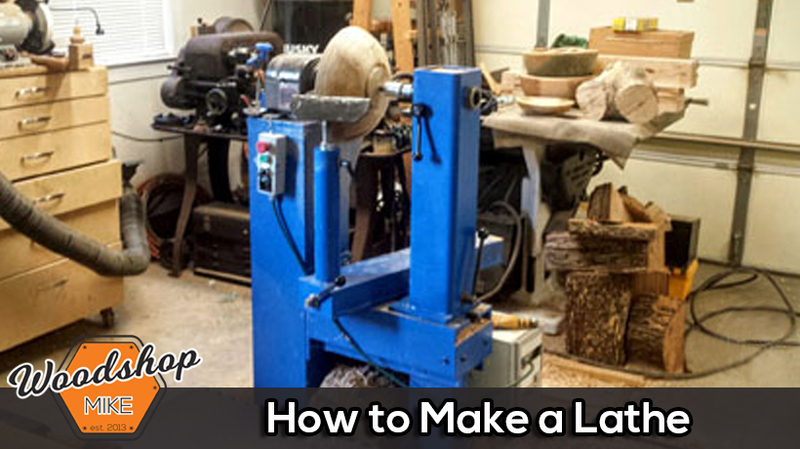 If you’re ready to take on a project that can be knocked out in just a couple hours, then let’s get to it! 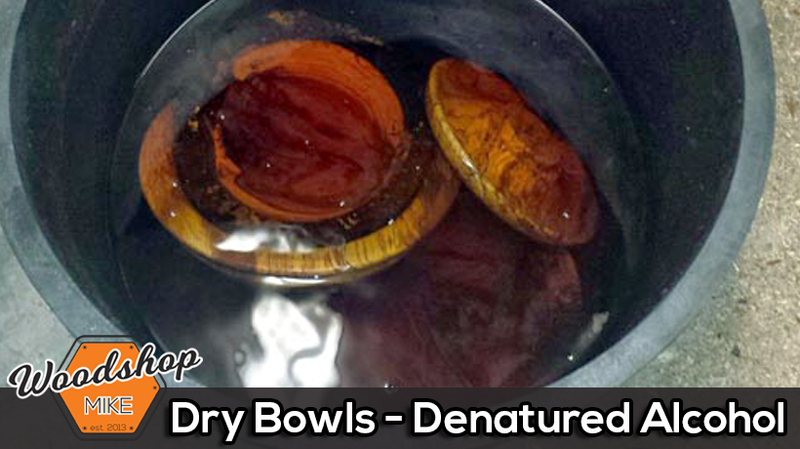 I start off with these blanks that I’ve recently dried in my DIY Kiln (check out the post here: https://wp.me/p4ME6k-wf ) As you can see, these are nowhere close to square. Over at the table saw, I true up two surfaces. 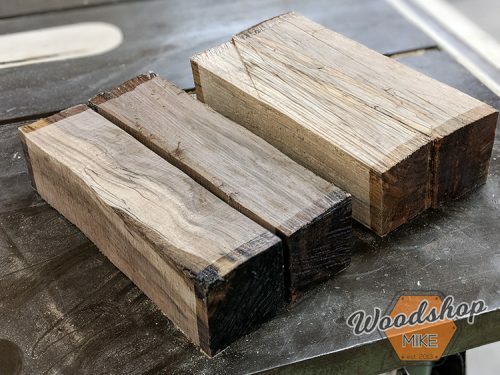 With two sides of these blanks square, I can cut the pieces to length at the miter saw. 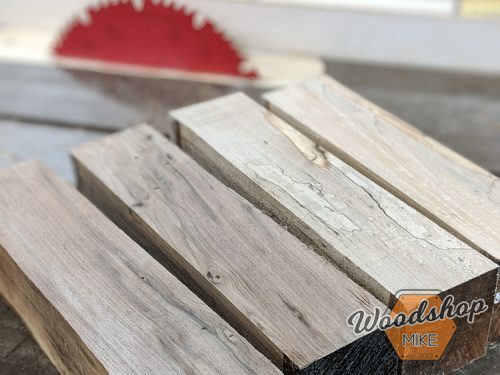 I like to go ahead and cut the pieces to the final size at the miter saw. 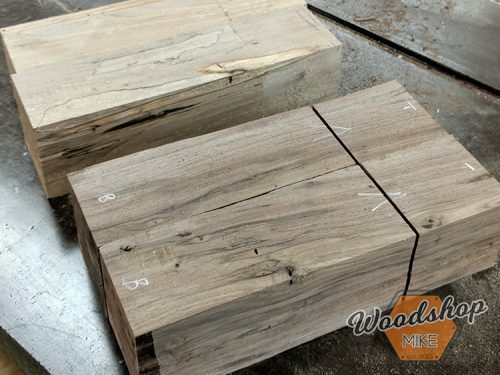 Do yourself a favor and mark how the pieces were oriented before cutting. 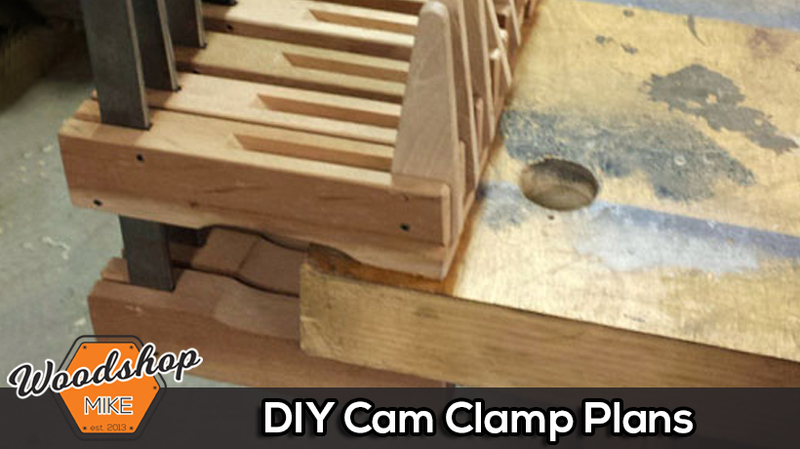 This will keep your grain orientation correct with the final product. 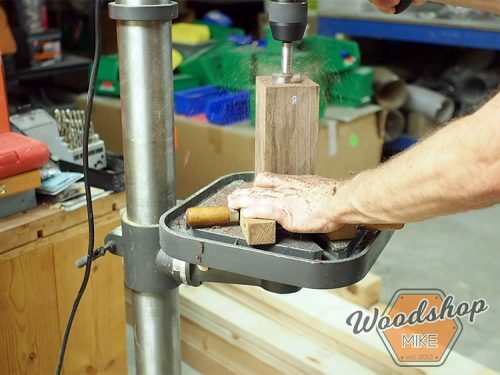 Before I head over to the drill press, I like to mark the center of each piece. For the tops, I only mark one end, but for the body, I mark the center of each end. 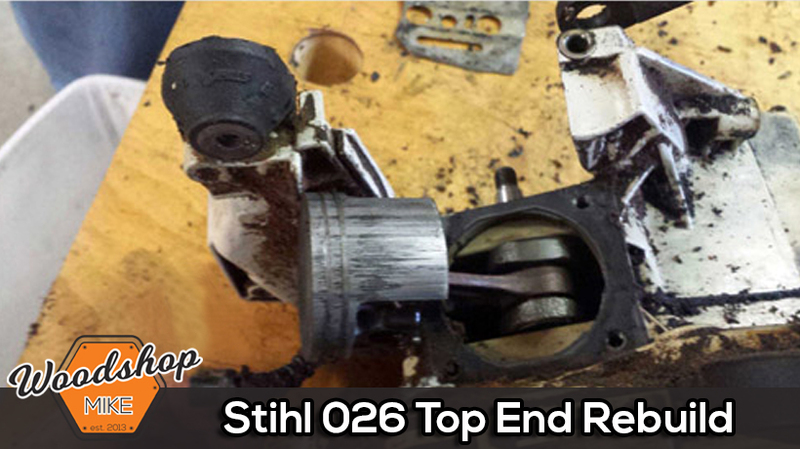 A 9/32 hole is drilled through the top to allow the hardware to pass through. 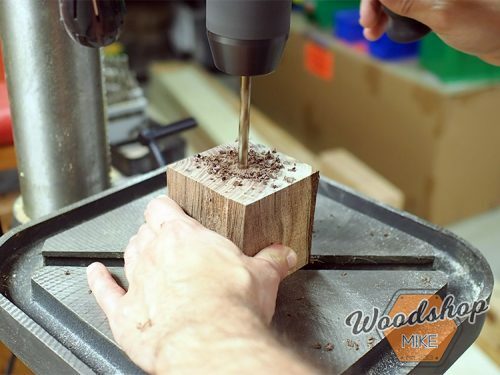 I like using a handscrew clamp to hold the pepper mill body in place while drilling the 1-5/8″ hole into the bottom of the blank. 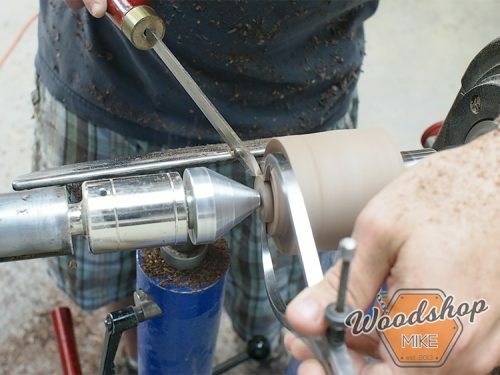 Now I’ll switch to a 1-1/16″ forstner bit and drill from the top and bottom of the pepper mill body. 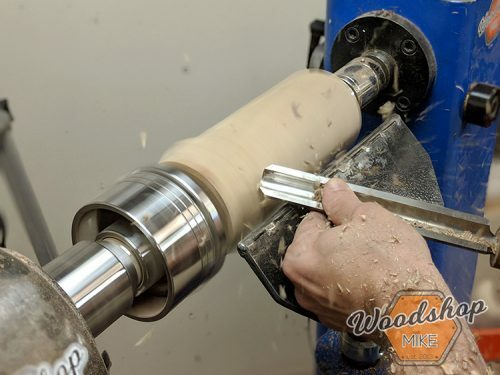 Once I’ve gone as far as possible with the forstner bit, I’ll switch out to a 1″ speedbor to hog out the rest. 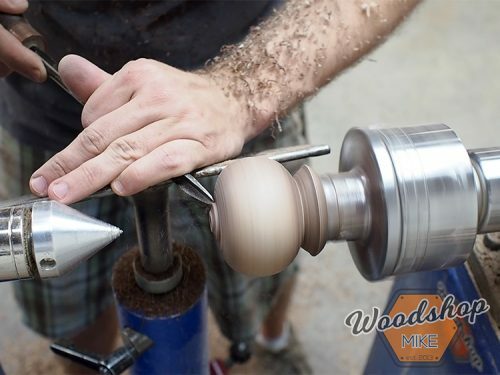 With all the drilling operations done, it’s time for my favorite part…Turning! 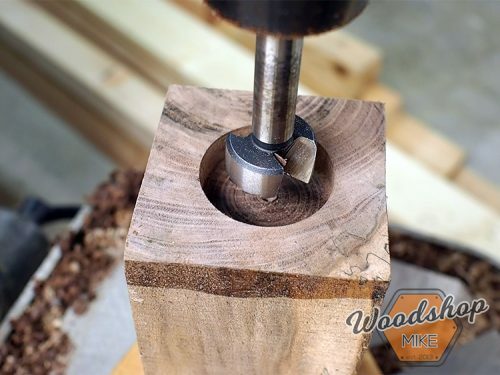 I start off with the top between centers and turn a tenon on the bottom of the piece that will be the top of the pepper mill. I use calipers and a parting tool to get the right fit. 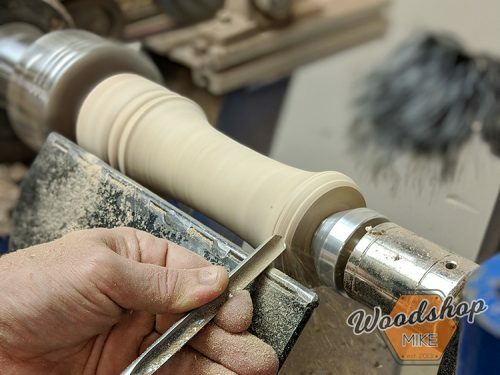 Next I roll the bead with a 3/8″ spindle gouge. 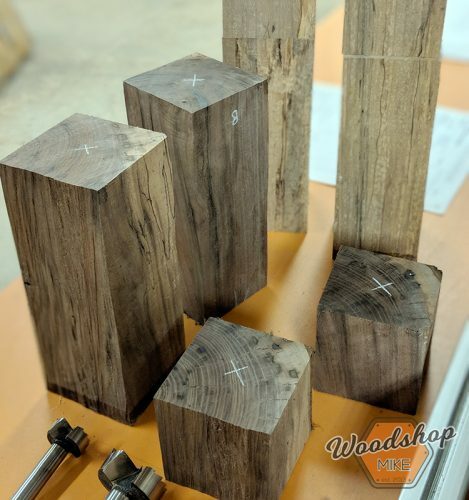 With these elements done, I put on my Nova G3 chuck and hold the top part of my pepper mill with the tenon that was just formed. From here I finish shaping and sanding the top. 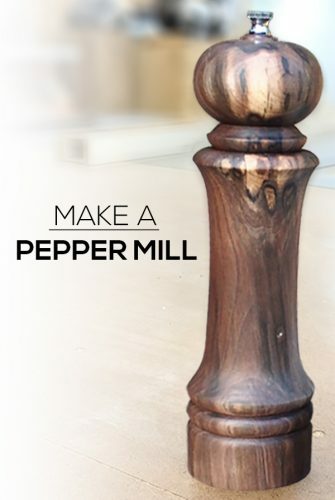 Remember that 1-5/8″ hole in the bottom of the pepper mill body? 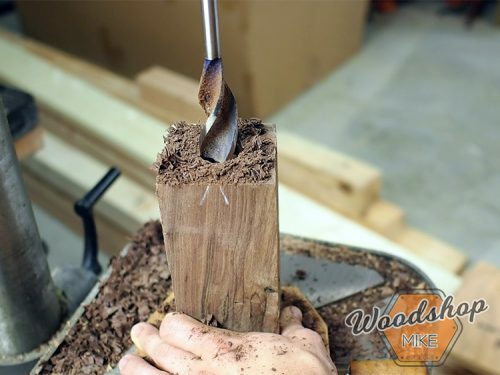 Use that as a chucking point and bring up your tail stock to support the other end of the body. 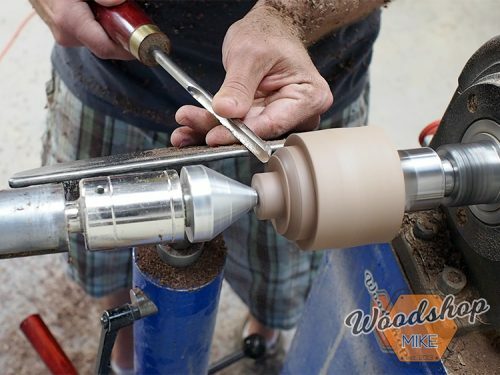 I bring the piece into round using a 3/4″ roughing gouge. 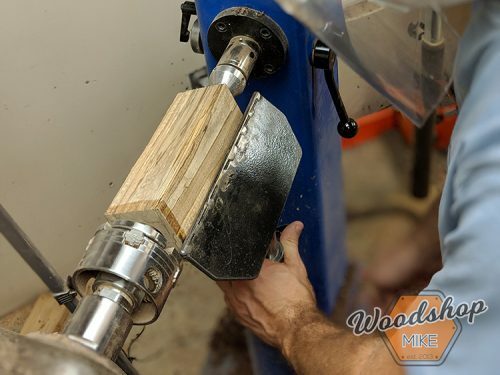 Using my calipers, I continue to cut until I reach the desired diameter. 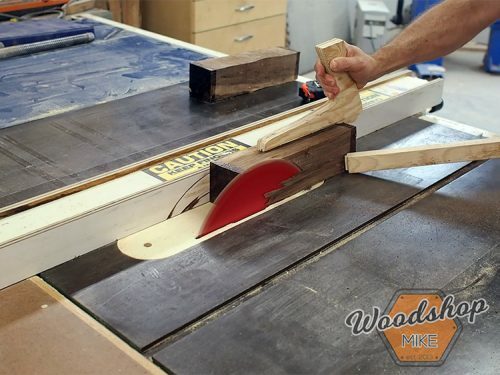 With the piece round, I grab my scale and mark out the transition points in my design. 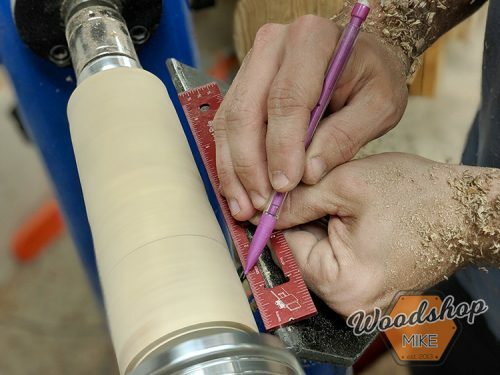 If you plan on making several of these, a story stick will go a long way to speed up your process. 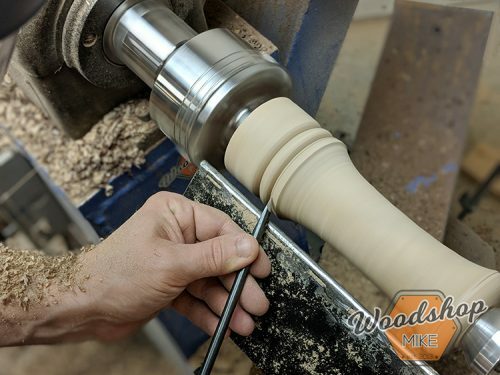 I continue to use the roughing gouge to quickly remove the bulk of material from the main feature on this pepper mill body. I use my calipers to establish the diameter at the center of this curve. 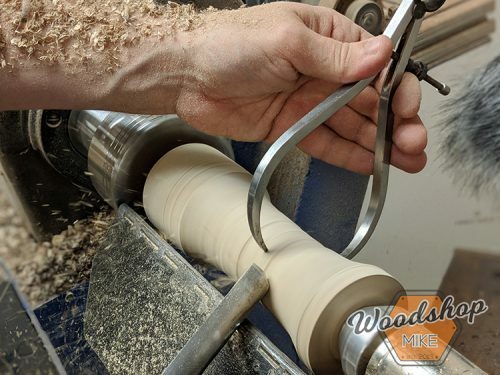 Once the proper diameter is reached, I switch to a 3/8 spindle gouge and blend the curve from the left and right of this cove. 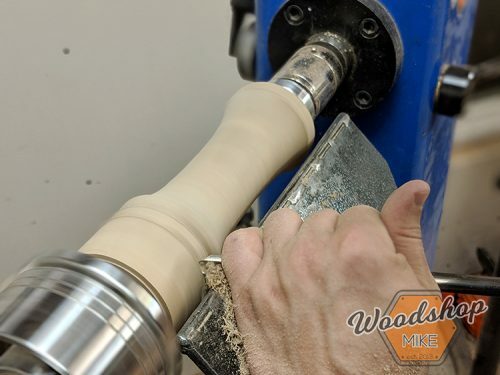 Continuing with the spindle gouge, I roll a few beads to accent the design. 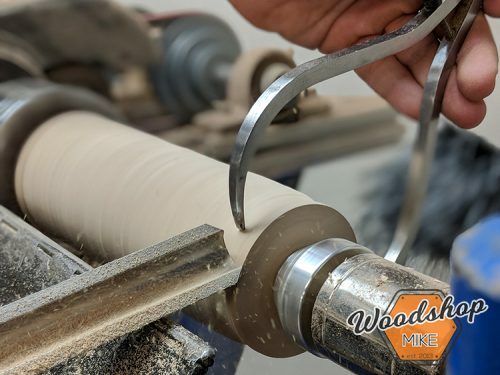 I like really tight beads, so I use this Vortex tool by Cindy Drozda to cut the super crisp details at the bottom of a bead. 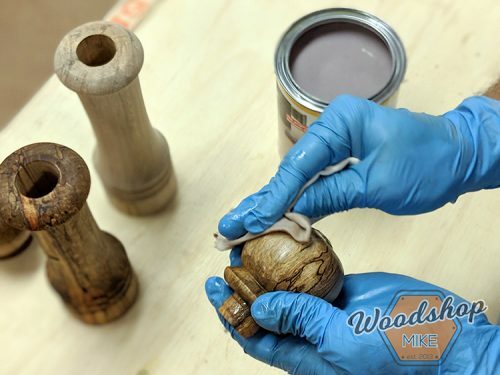 With the final details done, you’re ready to sand the pepper mill body. 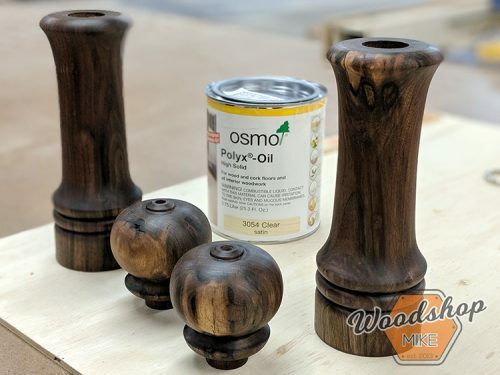 You can use whatever finish you like, but I wanted to give Osmo oil a try on this project. This finish is really easy to apply and produces great color with a very natural feel. 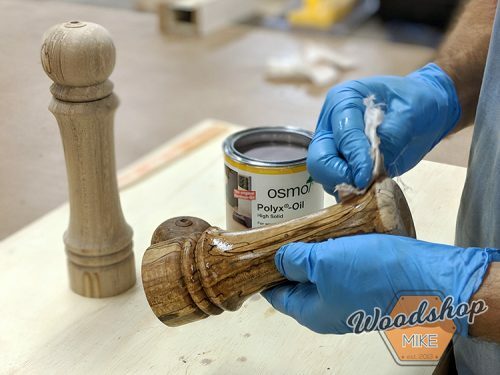 Simply apply enough finish to fully coat the piece and then wipe off the excess with a clean rag. After the finish has set for about 10 minutes, grab a new clean rag and buff the pieces by hand until the surface is silky smooth. The kit from Craft Supplies USA covers the assembly portion quite well. 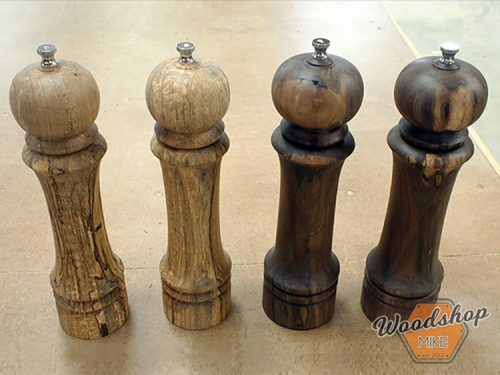 If you simply follow their instructions and watch my video, you won’t have any trouble putting these pepper mills and salt mills together! I hope you’ve enjoyed this project, and if you have any questions, leave them in the comments below. Until next time, have fun making something!